A piece of art that you can wear. 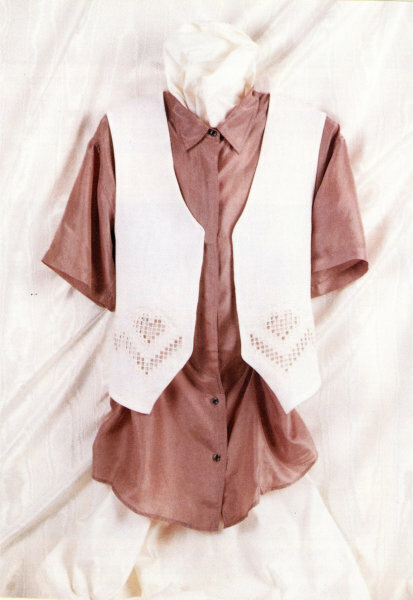 Hardanger stitches, such as Woven Bars and Dove's Eyes, are the main focus of this vest. A subtle touch of elegance is added with cross stitches and beads. 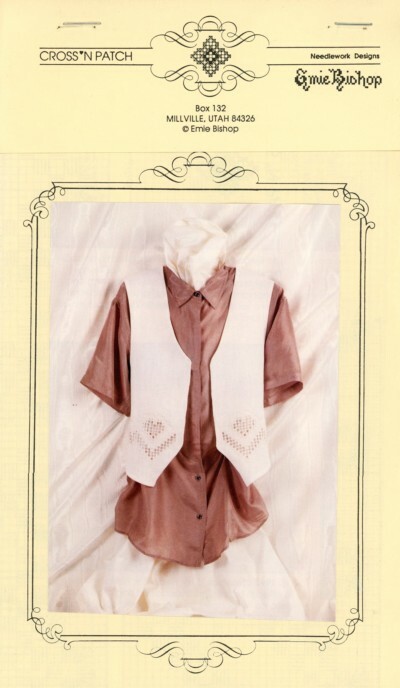 Includes instructions to adjust the vest size.